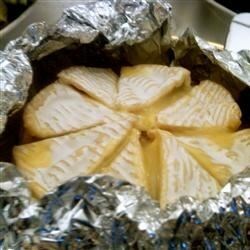 "The caramelized onions and dried chopped dates add sweetness to the punch of the Brie. Serve with sliced baguettes or large crackers." Made as directed. Family did not care for this. Will not make again. I served this twice over the holidays and everyone loved it! I served it with warm italian bread cut in chunks. Many people asked for the recipe! I thought this was very good. The complex sweet/musky/tangy flavor is not something my kids enjoyed, but the adults who tried it at my gathering gave it rave reviews. More than 5 stars! Yummy. I bake it at 350 for ~20 minutes.